If you know me you know how passionate I am about skincare; I'm getting so much better at sticking to my skincare routine, and now I have the addition of the Konjac sponge. Konjac itself is a plant, native to Asia and 97% water. It's completely PH balanced so it's great for your skin, and there's a whole range of different sponges you can get. I have the Bamboo Charcoal version, which is targeted at those with acne prone skin. It's said to absorb oil and dirt while also eliminating blackheads - you can use it without water for the ultimate natural cleanse, or with whatever cleanser you want for a bit of a deeper clean. Sam has one too, and her's is the French Green Clay version - I wouldn't say there's a difference between the two, but both are great so I would still recommend! There's loads of different ones for different skin types: Green Tea for all skin, and Chamomile for irritated skin. You can keep them in the fridge so they're nice and cool when you come to use them, and they can be dried anywhere. They're solid when dry, and then when you run them under water the sponges soften completely. They feel really lovely on the skin - not too harsh, but they do gently exfoliate which I think is brilliant. 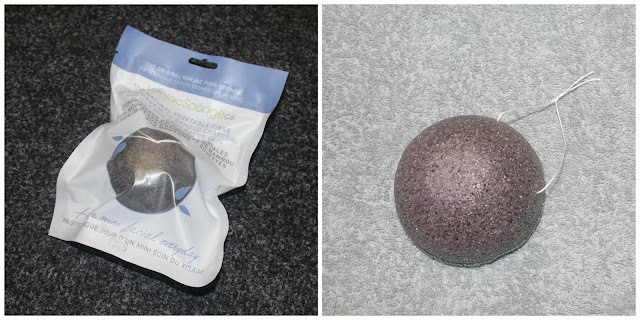 I don't have a bad word to say about my Konjac sponge, and it's definitely become a staple in my routine because it's much easier to clean than a flannel, which has to be machine washed. They retail for £7.99 and last for around 3 months before you need a replacement, although they can last longer if you take good care of them. Have you ever tried a facial sponge, from Konjac or elsewhere? Let me know! This sounds so interesting! I hate having to constantly wash flannels so I may have to give one of these a go!